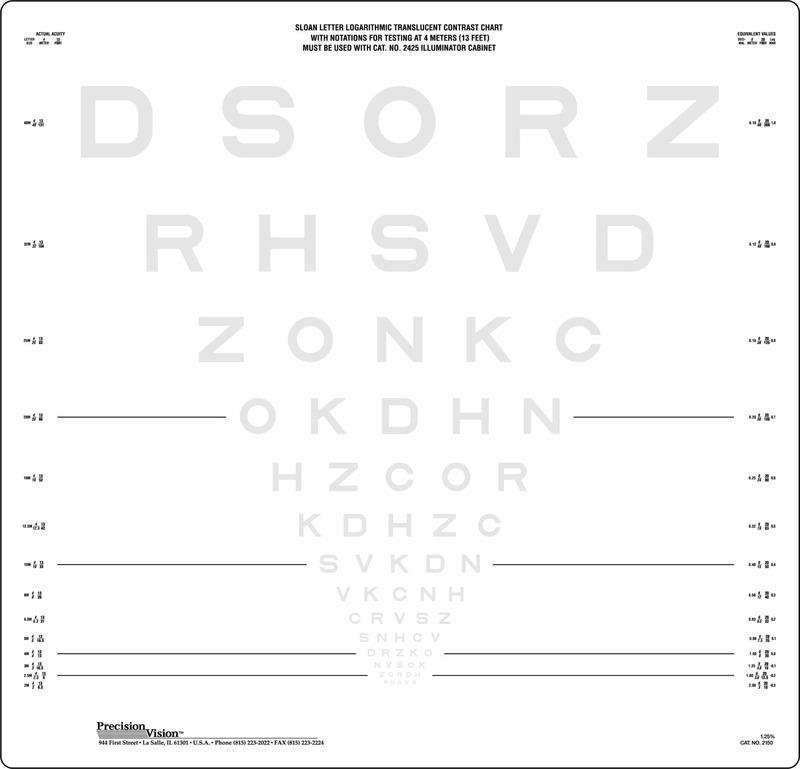 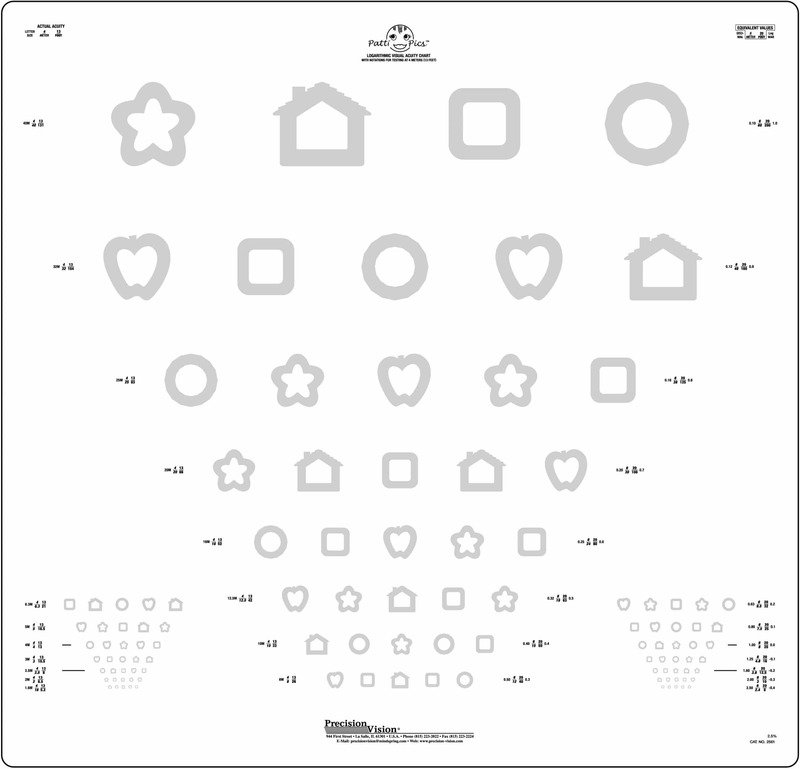 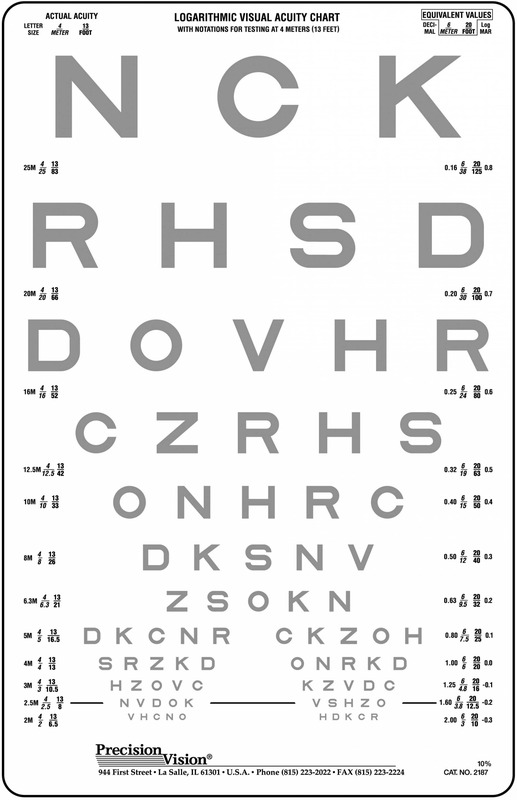 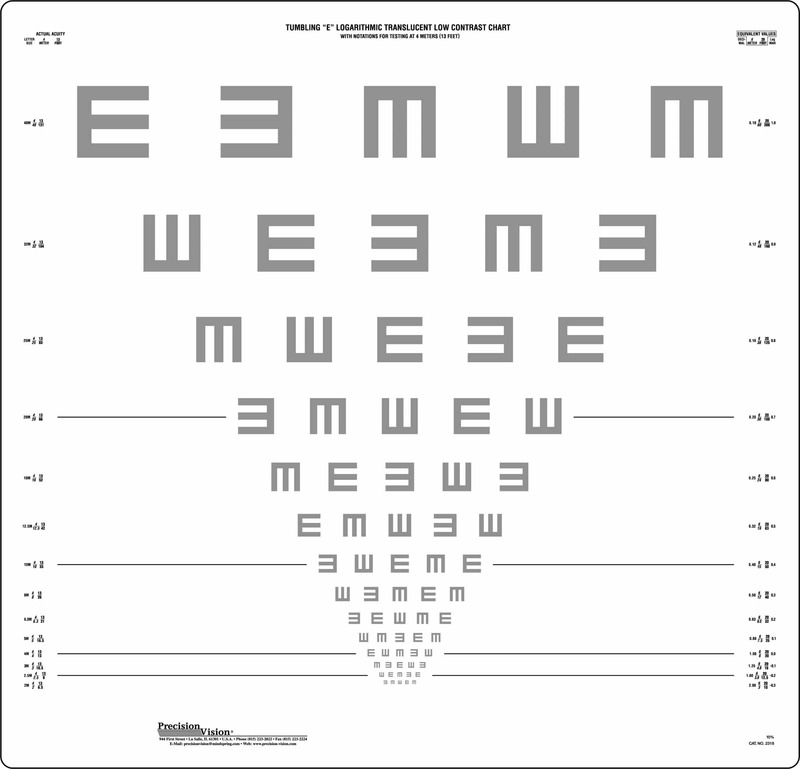 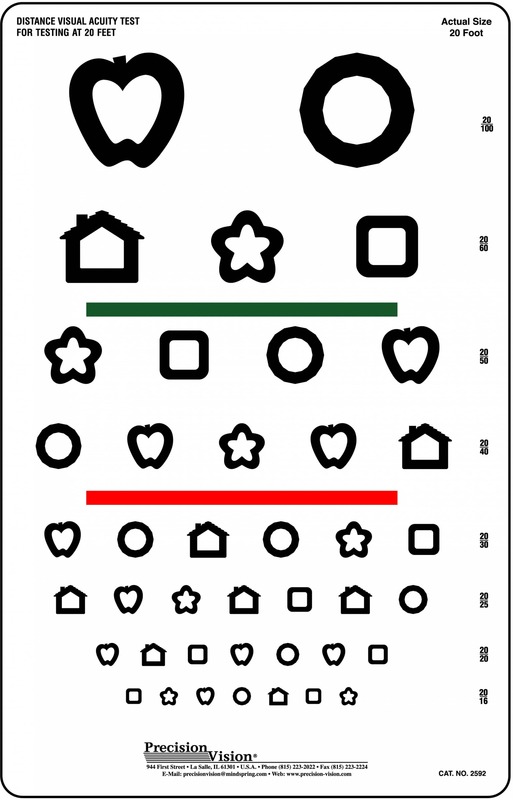 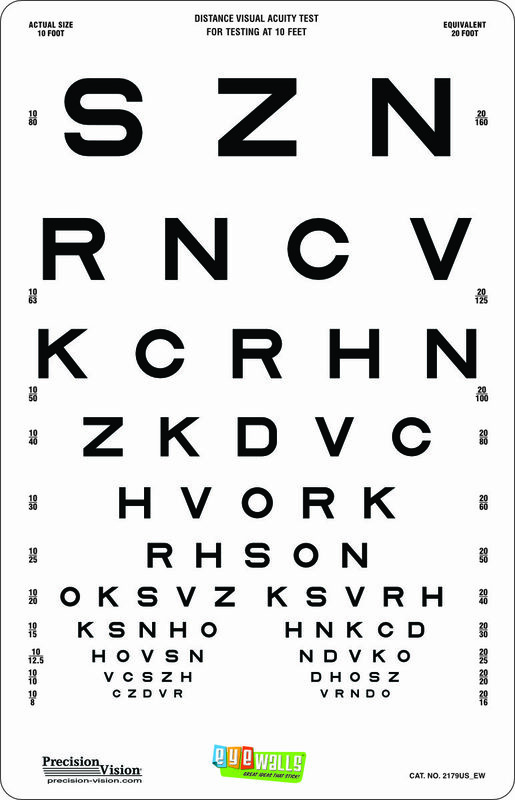 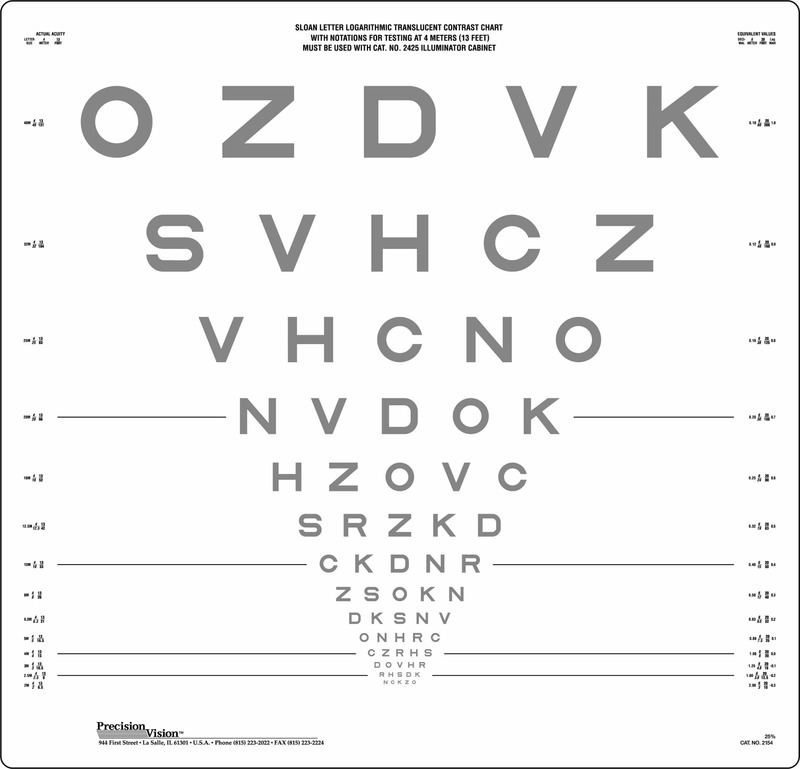 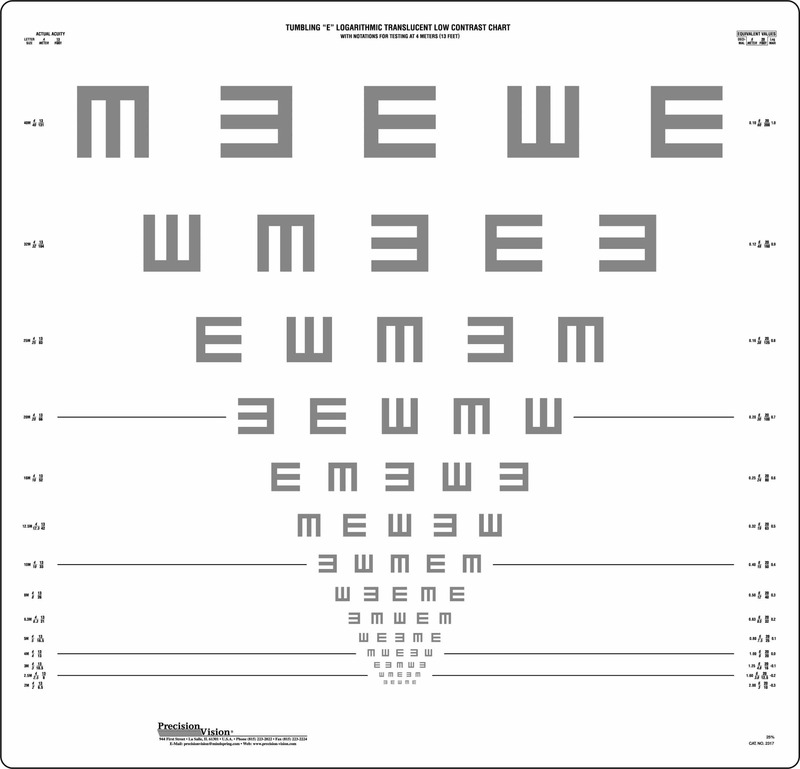 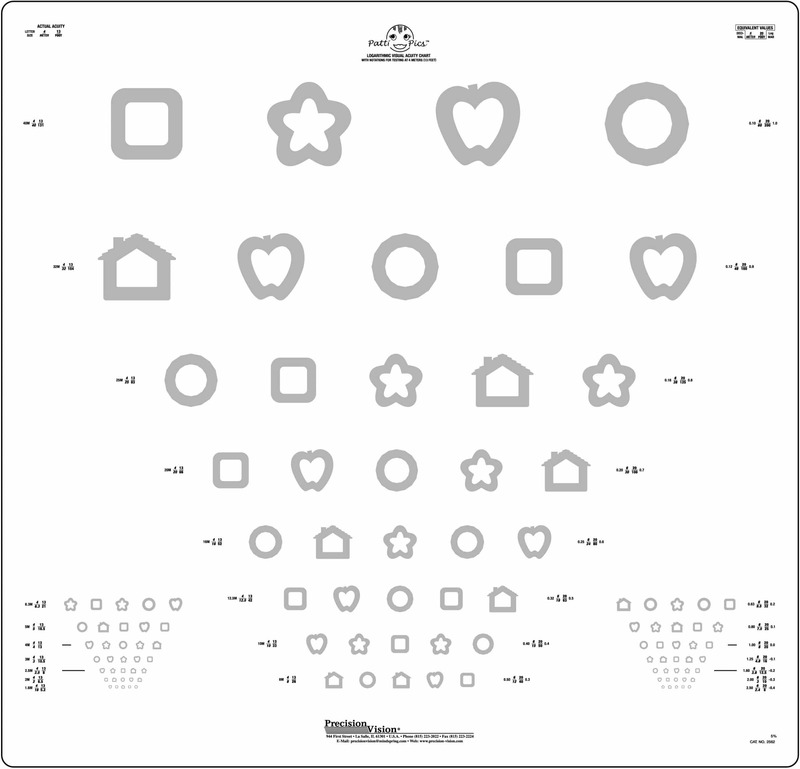 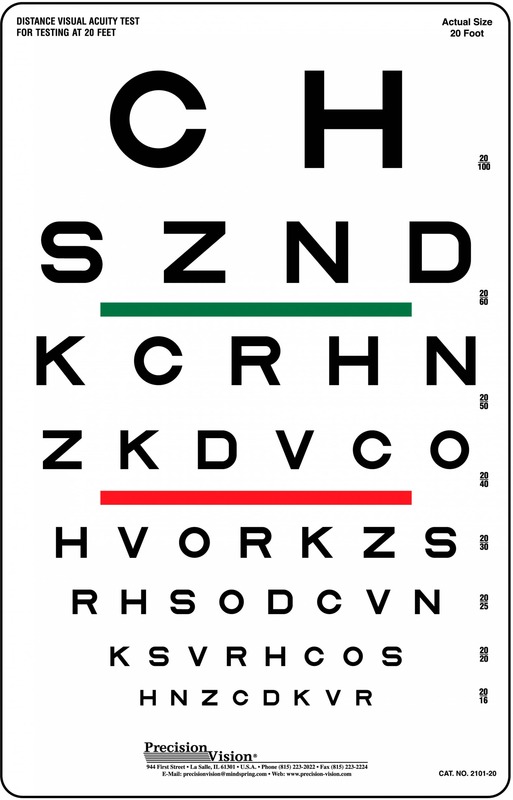 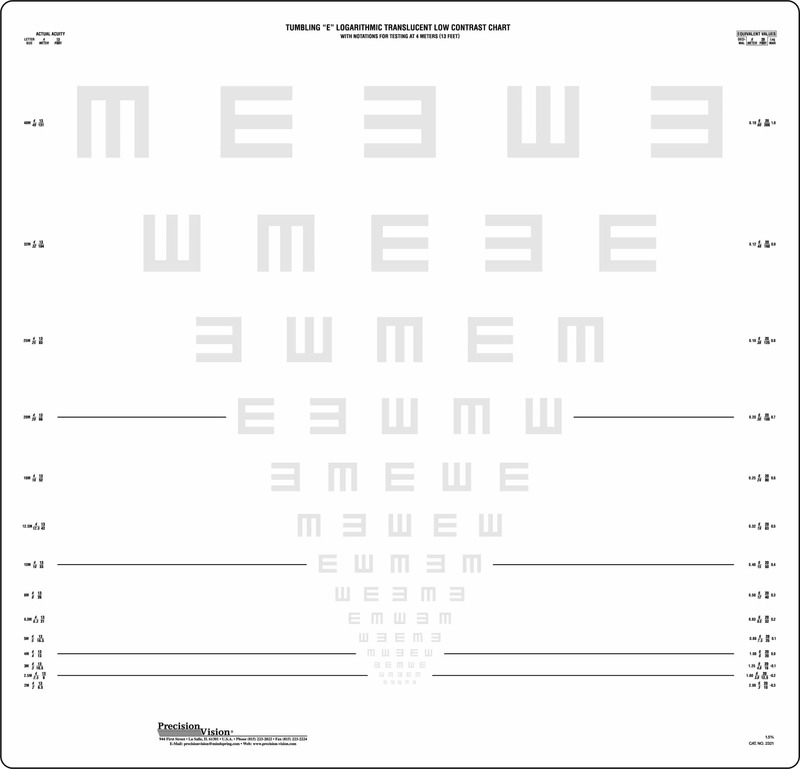 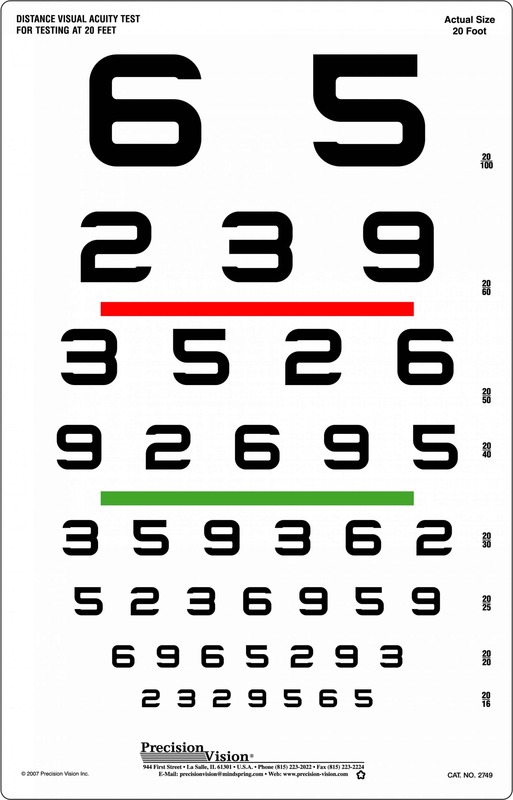 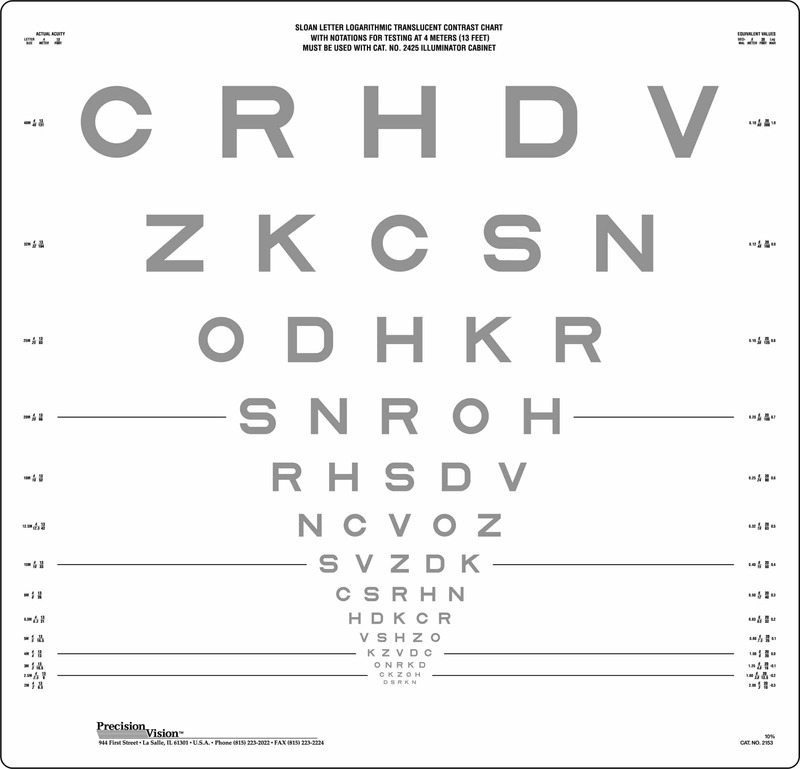 Logarithmic Visual Acuity Chart with 10% Contrast Level for Contrast Sensitivity Testing. 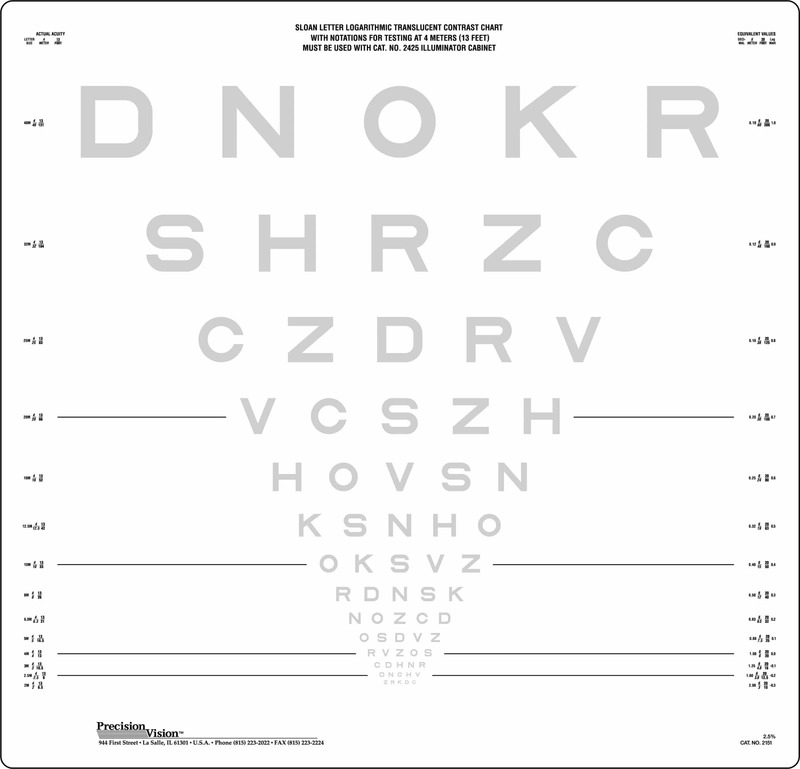 Illumination is a very crucial part in contrast vision testing. 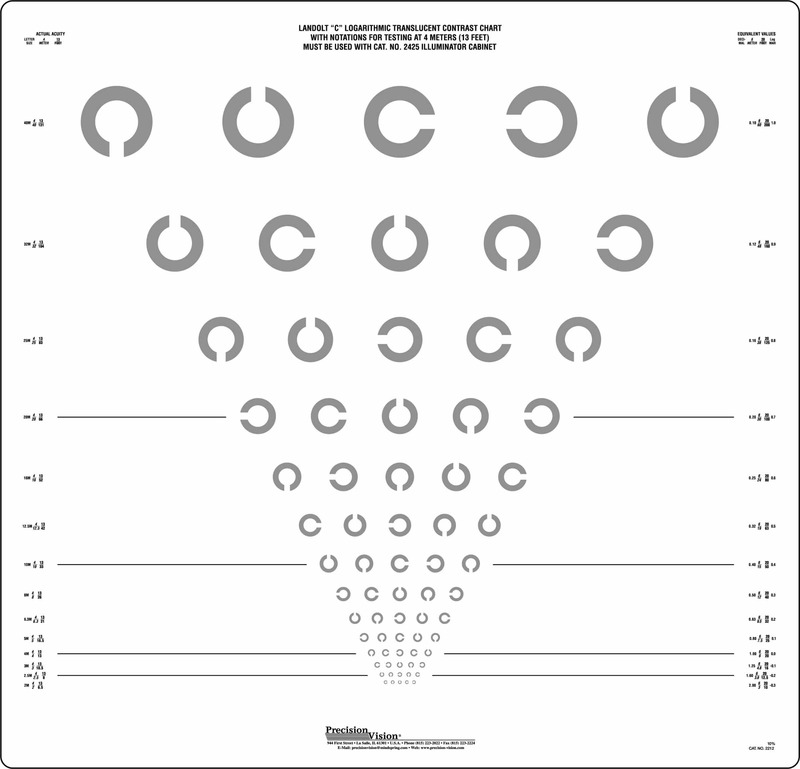 Without a constant and standardized illumination, contrast charts may be inaccurate. 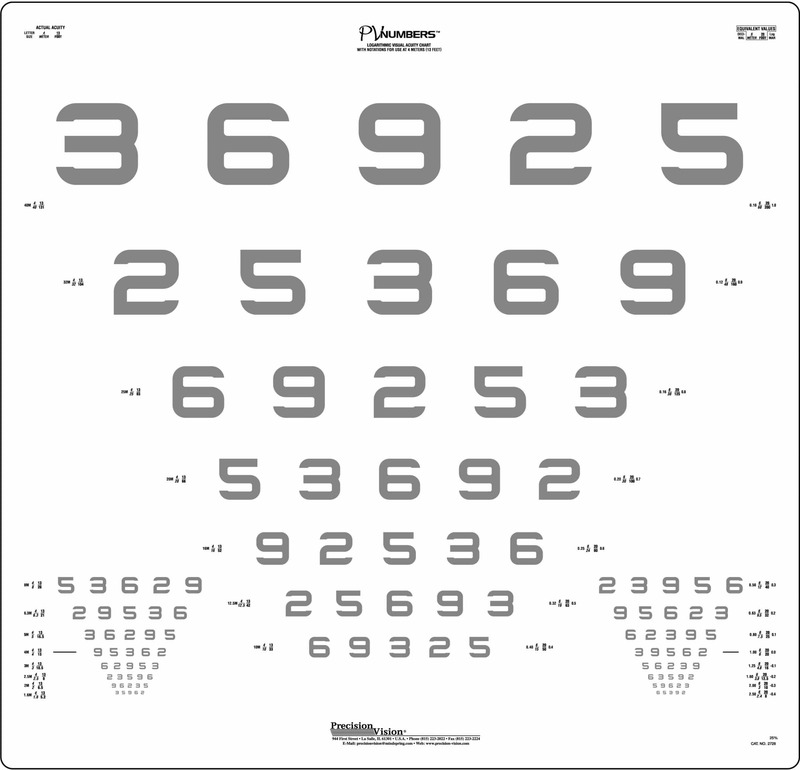 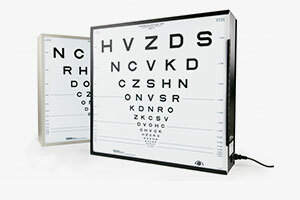 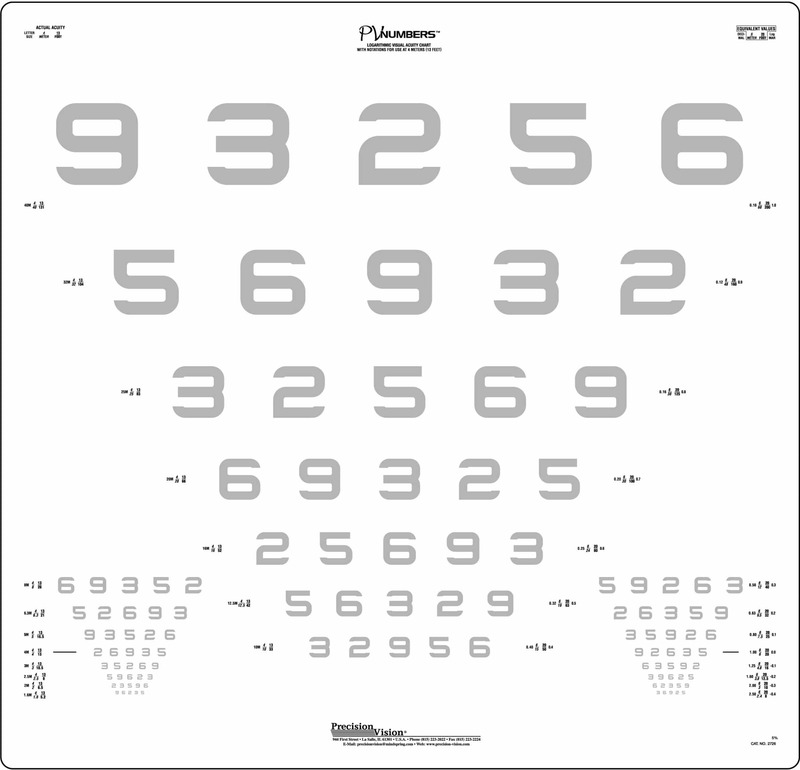 Precision Vision Contrast Charts are recommended with the use of our retro illumination cabinets. 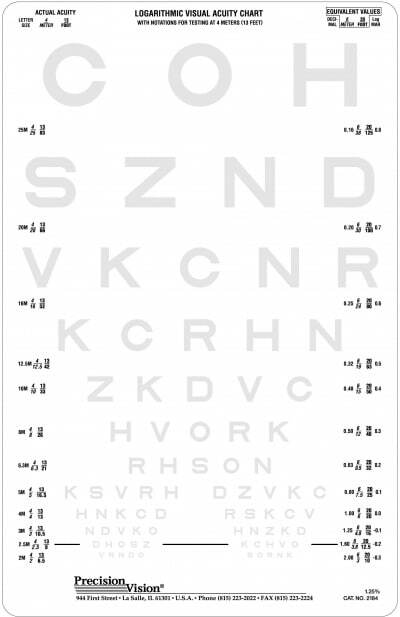 With this illumination, contrast levels are more accurate and testing is more reliable. 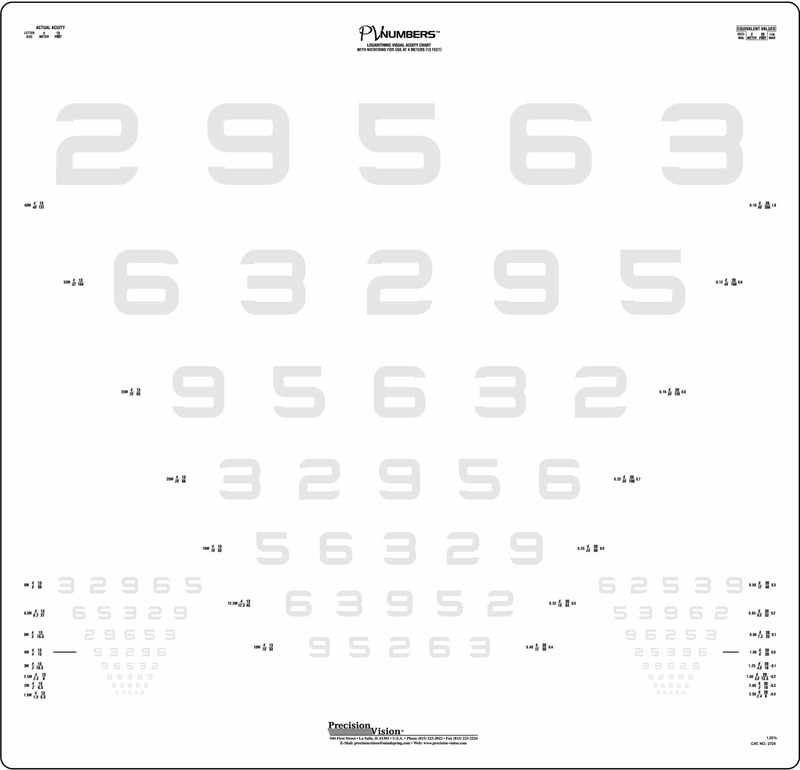 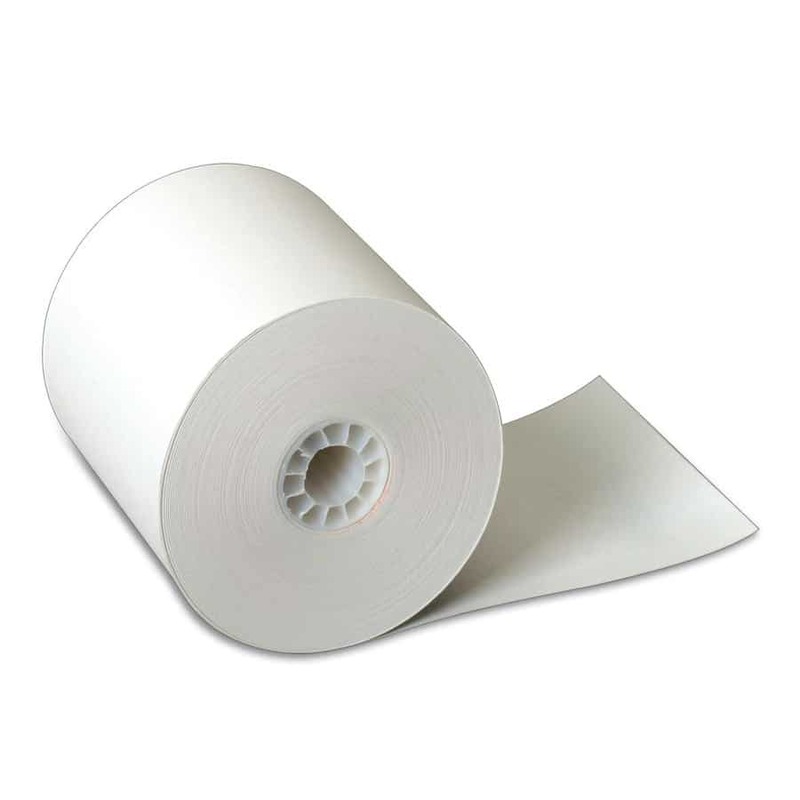 Controlled illumination is crucial for achieving accurate contrast sensitivity results.